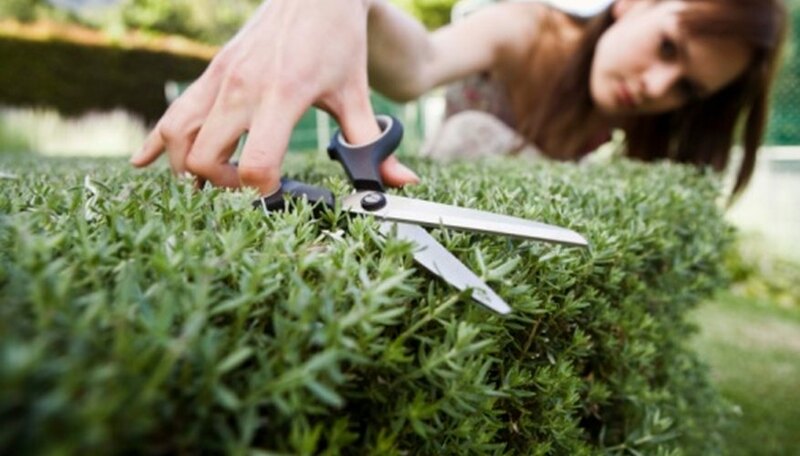 While every tree and shrub needs a trim once in a while, gardeners who use their shears at the wrong times may damage their plants. Only a well-timed pruning will enhance the health and appearance of a tree or shrub. Young trees need regular trimming to train them to grow correctly and remove unhealthy branches. Late winter or early spring—from late December to early April—is the best window of time to prune trees and shrubs for appearance. Trimming trees and shrubs in late winter encourages them to sprout new growth in spring for healthy, lively blooming. Trimming at other times—such as in the fall—may cause new growth that will remain too weak to survive winter frost. Plants with diseased limbs may need immediate trimming to prevent the disease from spreading. As long as the weather is dry, this kind of trim is safe any time of year.